Features: Has thetime come for change in Christchurch? Crusaders coach Todd Blackadder is proud his team stepped up to deliver the perfect Super Rugby send-off for Richie McCaw and Dan Carter, the New Zealand outfit scoring a hard-fought 37-24 victory at GIO Stadium in Carter's final appearance in the competition before he joins French club Racing Metro; while McCaw is expected to announce his retirement. "There were a lot of different motivations out there today," Blackadder said. "The motivation from the group was to finish strongly and also, too, we were sending off a few men and I know the boys really showed out there they put in for each other. There's not much more you could ask." Crusaders captain Kieran Read said "the motivation in sending those guys off was pretty high". "They're living legends - they'll go down in world rugby [history] never mind Crusaders rugby. "It's a pretty tough battle coming to Canberra so we certainly had to be up if we were to stand any chance." 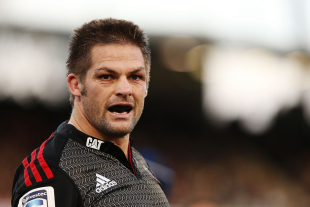 The triumph means McCaw is the only player in the world to win 100 Super Rugby matches and 100 Tests. He and Carter have amassed seven Super Rugby titles between them, and he said that he had loved every minute of his 15 seasons in red without hinting what was next. "It's a great place to play and the bunch of fellas that you get to play alongside is great every week," he said at a post-match presentation. These last few weeks, I just wanted to go out and have a smile on my face and enjoy putting on that jersey and potentially it probably will be the last one - definitely with my mate here 'DC'." Carter said it was really pleasing to see how much the Crusaders jersey meant to the players. "To put in a performance like that ... it's hugely satisfying," he said.